>>> Click on document titles or images to view original documents. Mr. Yuval Zaliouk has been my assistant in the past year at recording sessions as well as rehearsals for concerts. At these occasions I have seen him prepare and conduct parts of Bruckner's Eightth and Mahler's Second Symphonies. He has very good taste musically and is technically skillful. Therefore, I am pleased to recommend him highly as a good conductor and musician. On behalf of the Board of Trustees of The Toledo Symphony, I am very pleased to send you the enclosed Resolution which was unanimously and enthusiastically adopted at the March 16, 1989 Quarterly Board Meeting. Earlier, the Symphony's Executive Committee unanimously endorsed this Resolution, and recommended it to the full Board. 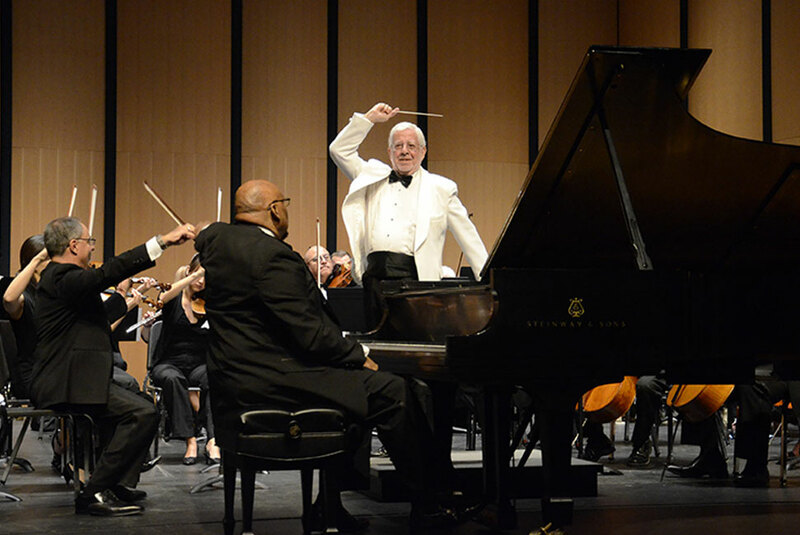 It is our sincere hope that this Resolution will convey our thanks to you for your years of service to the Symphony, and will be meaningful to you. 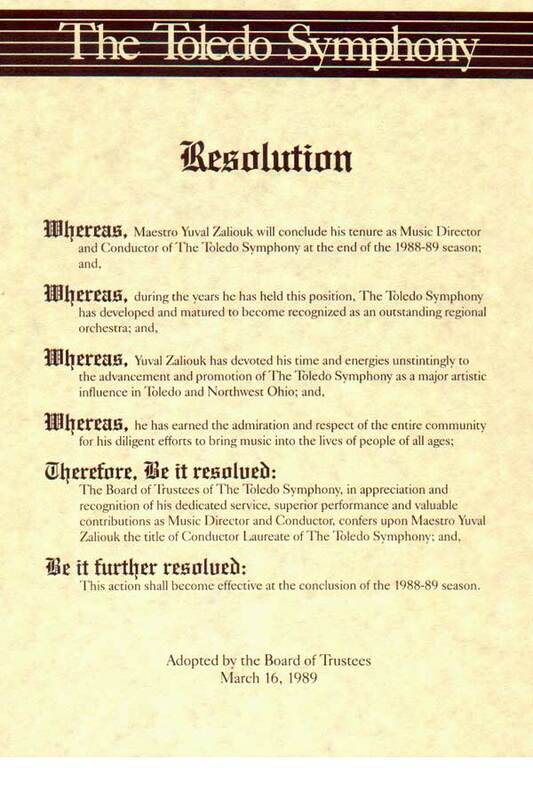 The Board of Trustees of The Toledo Symphony, in appreciation and recognition of his dedicated service, superior performance, and valuable contributions as Music Director and Conductor, confers upon Maestro Yuval Zaliouk the title of Conductor Lauerate of The Toledo Symphony; and, Be It Further Resolved: This action shall become effective at the conclusion of the 1988-89 season. Congratulations on an outstanding concert with the Toledo Symphony Orchestra last Saturday evening. Ilana and I were fortunate to be in the audience for what must be seen as a truly historic performance by the TSO. I have never heard a performance of the Rite of Spring with such clarity and drive. I agree with Boris Nelson, you are developing the orchestra beautifully! The 1984 ASCAP Awards recipients have now been determined. I am pleased to inform you that the Toledo Symphony Orchestra has been selected as the first prize winner in the Regional orchestra category. Your orchestra will receive a cash award of $2,000 and a plaque commemorating your commitment to new music programming during the last season.... On behalf of the ASCAP Symphony and Concert Committee and the American Symphony Orchestra League, I congratulate you and your orchestra for the significant accomplishment this award represents. ... The Orchestra Panel felt there were strong solo players and section leaders in the Toledo Symphony; the intonation was careful and the winds were unusually sensitive; the overal sound was distinctive, bright, and clear; and there was vitality and alertness in the playing. YZ, the end of the alphabet, the start of a new era! YZ Will Be Here! 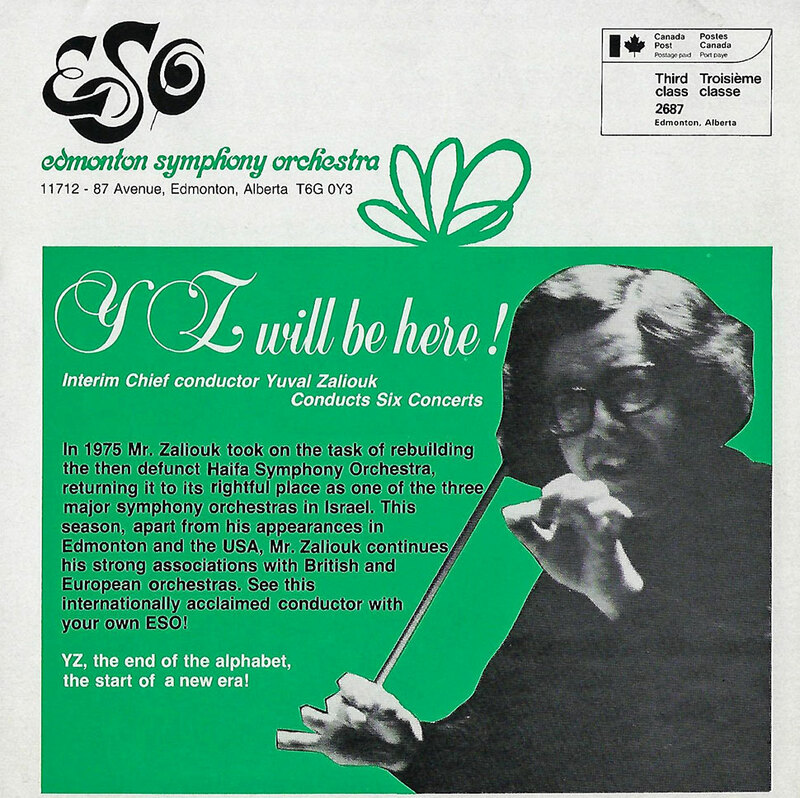 Interim Chief Conductor, Yuval Zaliouk, Conducts Six Concerts. 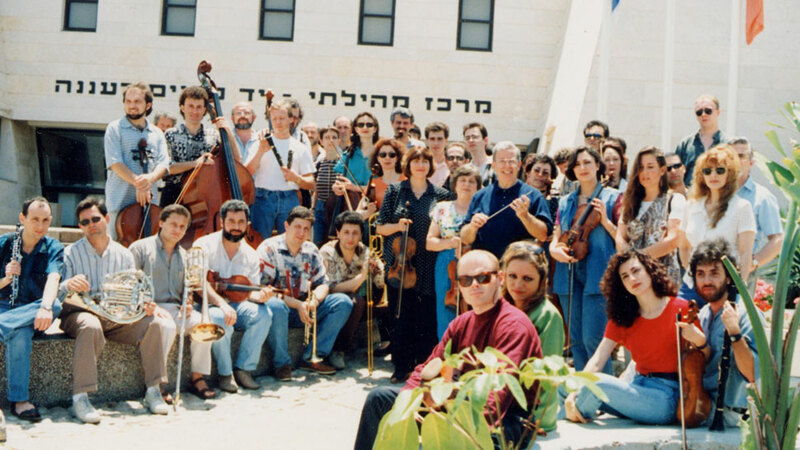 In 1975 Mr. Zaliouk took on the task of rebuilding the then defunct Haifa Symphony Orchestra, returning it to its rightful place as one of the three major symphony orchestras in Israel. 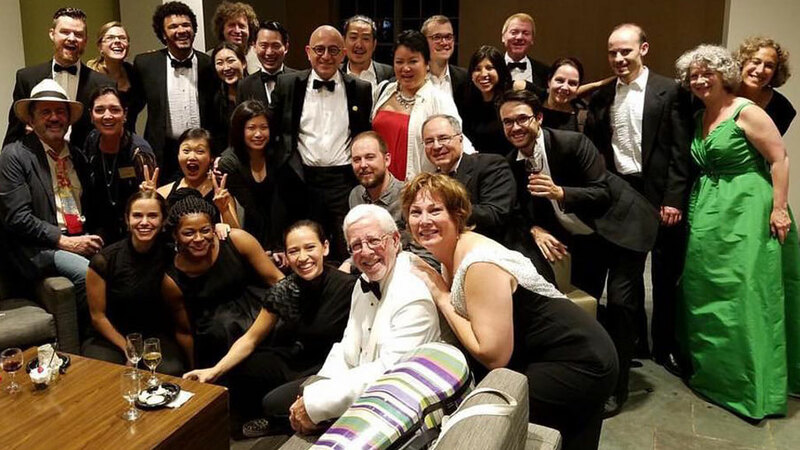 This season, apart from his appearances in Edmondton and the USA, Mr. Zaliouk continues his strong associations with British and European orchestras. 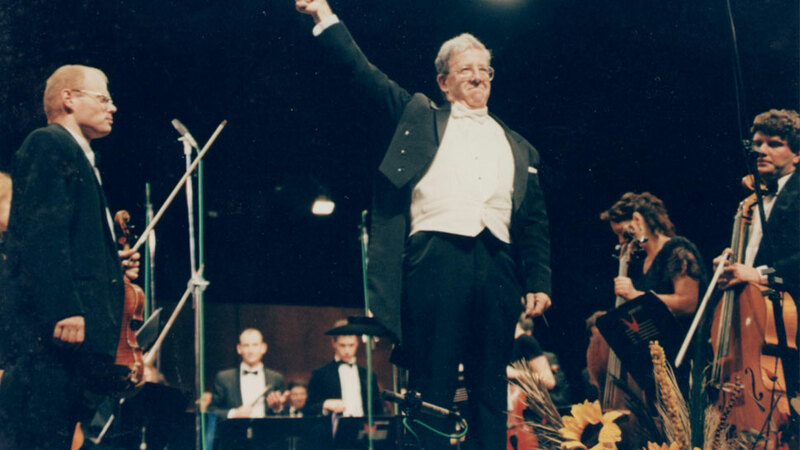 See this internationally acclaimed conductor with your own ESO!